This title is suitable for children aged 10 to 13 years old. 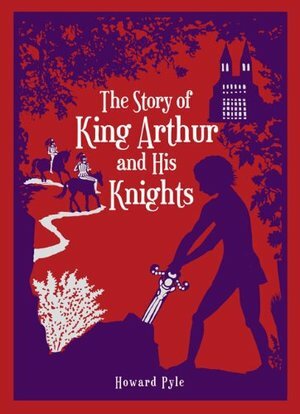 This imaginative retelling of the classic Arthurian legends recounts the story of Arthur's formation of the Knights of the Round Table, his securing of the enchanted sword Excalibur and his wooing of the Lady Guinevere. Included as well are the legends of Sir Pelleas, the story of Sir Gawaine's pursuit of the White Hart and tales of Merlin the magician, Morgana Le Fay, the Lady of the Lake and many others. One of the best-loved classics of children's literature, "The Story of King Arthur and His Knights" is magnificently illuminated with artwork of Howard Pyle that brings the pomp and pageantry of Camelot magically to life. This exquisite full-colour edition features an elegant bonded-leather binding, a satin-ribbon bookmark, distinctive stained edging and decorative endpapers. It's a book that will be cherished by readers of all ages.